The Chicago Tribune reports that newly minted Oscars viral star “Gary from Chicago,” a.k.a. 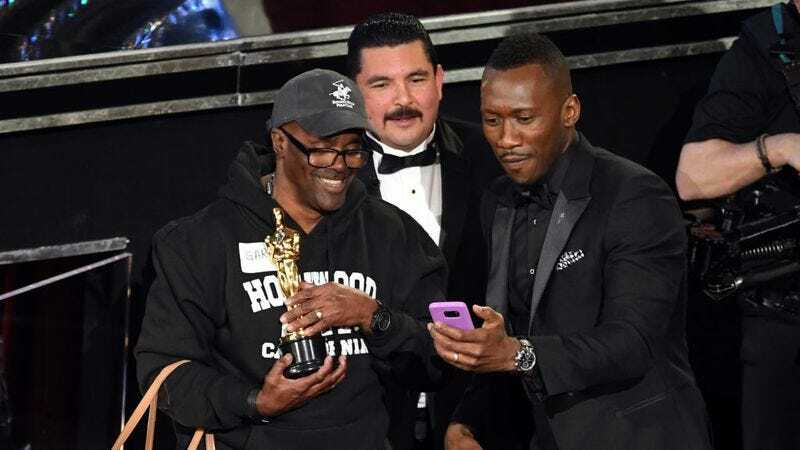 Gary Alan Coe, was released from jail mere days before capturing America’s (or at least the part of America who actually watched the Oscars’) heart on Sunday night’s Academy Awards telecast. Coe revealed his back story in a telephone interview with ABC7 Chicago, offering up that he had just ended a 20-year sentence before his sudden brush with fame. The circumstances under which Coe was put into prison are still unclear: His attorney, public defender Karen Nash, says he received a life sentence for stealing perfume in 1997. But he was released from a California jail Friday, two days before the Oscars, under a new measure that allows some inmates affected by California’s “three strikes” law—which increases sentences for multiple offenses, even for relatively minor crimes—to be released after serving their base sentences. Coe reportedly met his fiancee Vickie Vines—who’s become an internet sensation in her own right—while in jail. He also converted to Christianity during his prison term, according to DNAInfo Chicago. The couple were apparently walking hand in hand on Hollywood Boulevard on Sunday when they were approached by what they thought was a representative for a tour bus company who asked if they’d like to take a tour. Next thing you know, they’re face to face with Denzel Washington. Vines and Coe intend to marry this year; as his daughter tells the Tribune, “He’s a really sweet, genuine, loving type of dad. He’s the best. I’m proud of him.” So it looks like his story has a happy ending. “Change is possible. It’s a sad day to be in prison for 20 years and not be able to be a dad, granddad to your children. You know what my son told me today, man, and I almost come to tears. He said he’s proud of me. So to hear your children say that they’re proud of me means the world to me,” Coe told ABC7.